Home » News Feed » Concept keep pace with logistics business! CS Ellis Group, who specialise in warehousing and logistics, have been a regular client for over 10 years, and are constantly expanding their site in Rutland. This time they had outgrown their existing Welfare Facilities. We got together with our client to design a new building that incorporated toilet, shower and canteen facilities. 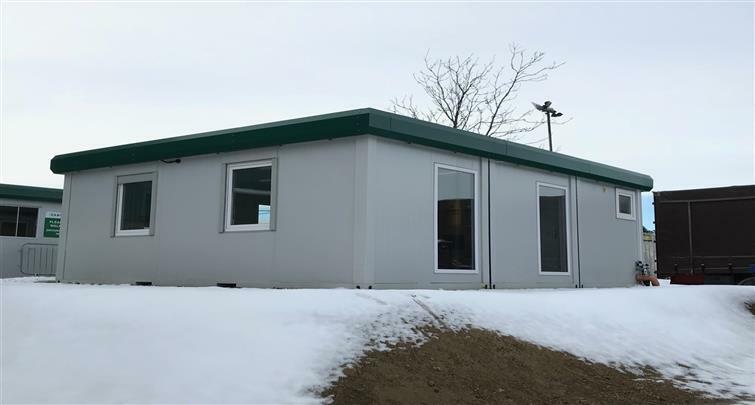 We agreed upon a brand new 3 section 24' x 20 (7.3m x 6m) Modular Building; subtly finished off with a green fascia to match their corporate colours!